Welcome to the Q4 issue of Global Health & Pharma Magazine, your source for the latest news and features from across the healthcare and pharmaceutical industries. The animal health market has, over the last few years, become an incredibly competitive sector, with industry experts believing that it is in the middle of a period of immense year-on-year growth. This has moved hand in hand with the global health and wellness trend – to put it simply, people are eager to obtain a healthier, happier lifestyle for themselves and their pets as well. For StreetVet, animal health is defined by compassion. As an RCVS registered practice, they deliver free care to the homeless and their dogs in some of the largest cities in the UK. Sam Joseph, one of the Vets working at StreetVet, took some time out of his busy schedule to discuss the importance of their service and the help they provide every day. Finally, staying with the theme of animal health, we profiled Techmira AG, who have created a revolutionary dental care product designed for dogs – Mira-Pet. Utilising their noted expertise in ultrasound technology, their toothbrush has been designed from the ground up to tackle plaque build-up and improve dental hygiene from the very first use, without a need for expensive professional veterinary procedures. 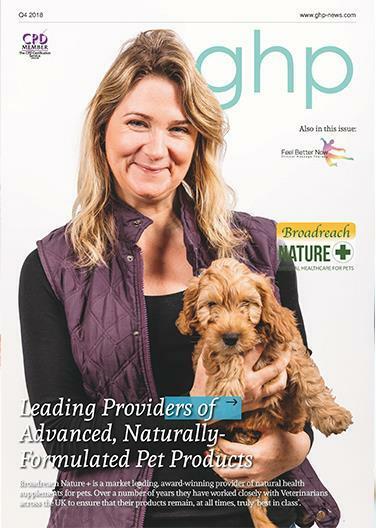 Here at GHP Magazine, we hope that you enjoy reading this quarter’s issue and look forward to hearing from you soon.